Destinia is the project of Japanese guitar wunderkind Nozomu Wakai. He dropped his first full length album, Requiem for a Scream in 2014. In turn, over the next two years, he followed with an EP, Anecdote of the Queens and a live concert DVD, A Live For A Scream. While working on musical ideas for his sophomore studio album, Metal Souls, Wakai encountered Lords Of Black at Loud Park 16, and was quickly impressed with vocalist Ronnie Romero live presence. Wakai offered Romero the vocal spot for his next album. Also impressed by Wakai's songwriting skills, Romero accepted. To round out the rhythm section, Wakai then snagged hard rock and heavy metal veterans, bassist Marco Mendoza (The Dead Daisies, Whitesnake, et al) and drummer Tommy Aldridge (Whitesnake, et al). Essentially, with Metal Souls, you have an album of melodic heavy metal rock as a platform for Wakai's impressive and skillful guitar work. Yet, having said that, Wakai is a fine songwriter. While all things lead to a soaring solo, he's still able to craft a song that builds upon melody, harmony, and groove. Wakai has a keen ear for both guitar and vocal harmony, and knows how a song has to have hooks in both melody and a catchy chorus. After these things, Wakai merely rips up his fret board with traditional and neoclassical guitar solos. As for Romero, while I'm not a huge fan, his voice fits quite well with with Wakai's sharp heavy metal tones. It's just sometimes he gets too screamo for me. With that last paragraph, I defined the essence of most songs within Metal Souls: melodic heavy metal rock, often with brisk pacing, and culminating with soaring Wakai guitar solos. For songs with some of that strong hard rock groove listen for Metal Souls and Raise Your Fist. With songs such as The End Of Love, Be A Hero, and Cross The Line, you get more melodic power metal rock from the quick pacing. Something of a heavy metal anthem comes with quite catchy Take Me Home, having a strong melody and infectious chorus. It was easily my favorite song here. 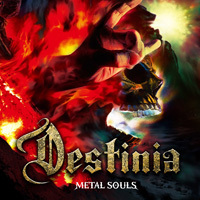 In the end, if you dig guitar-forward melodic heavy metal with rock rhythm and groove, you will enjoy Destinia's Metal Souls and Nozomu Wakai's thrilling guitar pyrotechnics. Recommended. 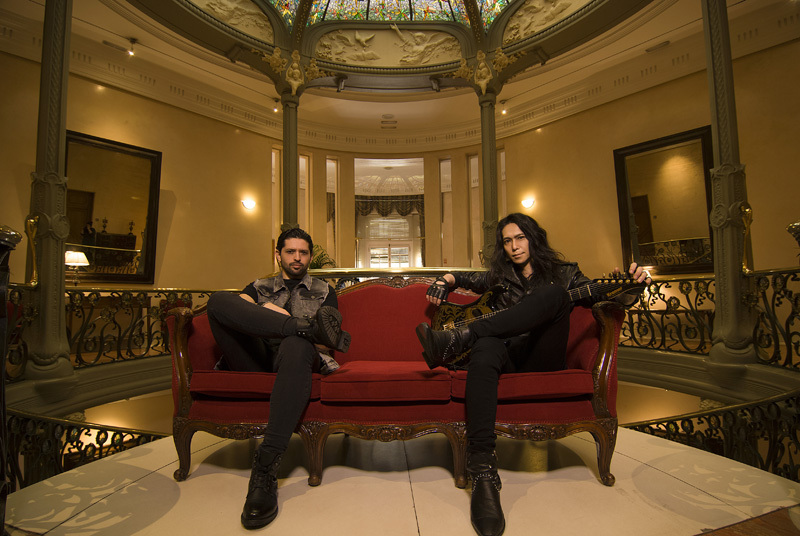 If you dig guitar-forward melodic heavy metal with rock rhythm and groove, you will enjoy Destinia's Metal Souls and Nozomu Wakai's thrilling guitar pyrotechnics. Recommended.